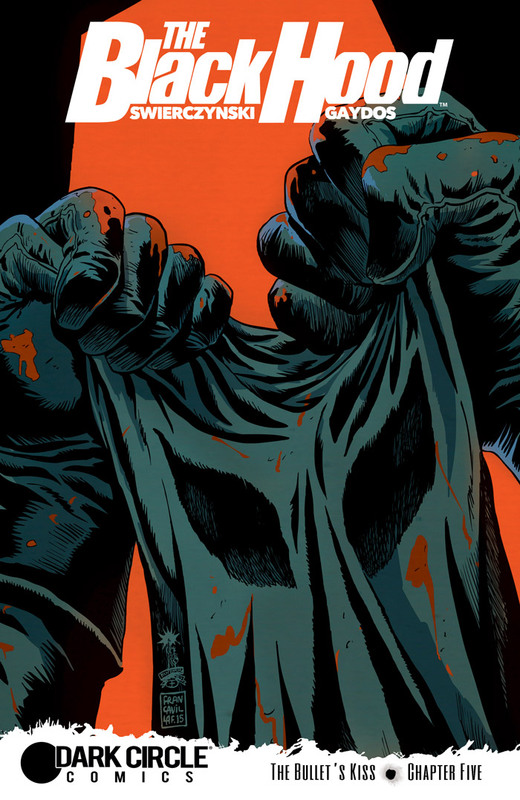 I read Black Hood #5 this week (and bought issues 6 thorough 9), written by Philadelphia's own Duane Swierczynski and set in his home city, where I also live. I am happy to report that none of the first five issues mentions gentrification, home prices, real estate development, gastro-pubs, East Passyunk, craft beers, charter schools, Stephen Starr, the renaissance of Fishtown, boutique distilleries, entrepreneurship, restaurants with cute one-word names, start-ups, the University of Pennsylvania, or Comcast. It's a relief to escape from the ludicrous fantasy of civic greatness that constitutes public discussion in this city and find reality in a comic book. It's a great, great comic book. Got to get to this series. Erik: and no problem with superfluous editorial padding, either. 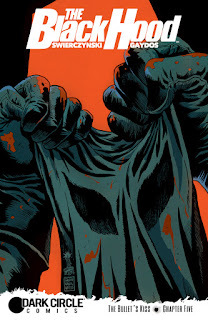 The supplementary material included with each volume of The Black Hood is always interesting, going a fair way toward giving Philadelphia the sort of reputation among crime readers that Chicago, New York, L,A,, and San Francisco already have. Seana: I've bought the individual issues, but there were were plans to publish the first five issues in a trade paperback edition. I would suspect that volume might already have appeared. Yeah, that's what I was hoping. I'll ask at my friendly neighborhood comic store when I'm downtown next. I'm only a casual visitor to comics shops, which is fine, because I find it difficult to read a single issue that will take ten minutes, then have to wait a month. Seana, that Erik Arneson who commented above, by the way, has written some of the supplementary material that I mentioned.